In 1967, FIA introduced new rules for Sportscar World Championship 1968: Sports prototypes (group 6) would be limited to 3 litres and a new class of limited production GT cars (group 5) with a maximum displacement of 5 litres. To be homologated for the GT class, at least 50 example needed to be constructed (25 cars in 1969). 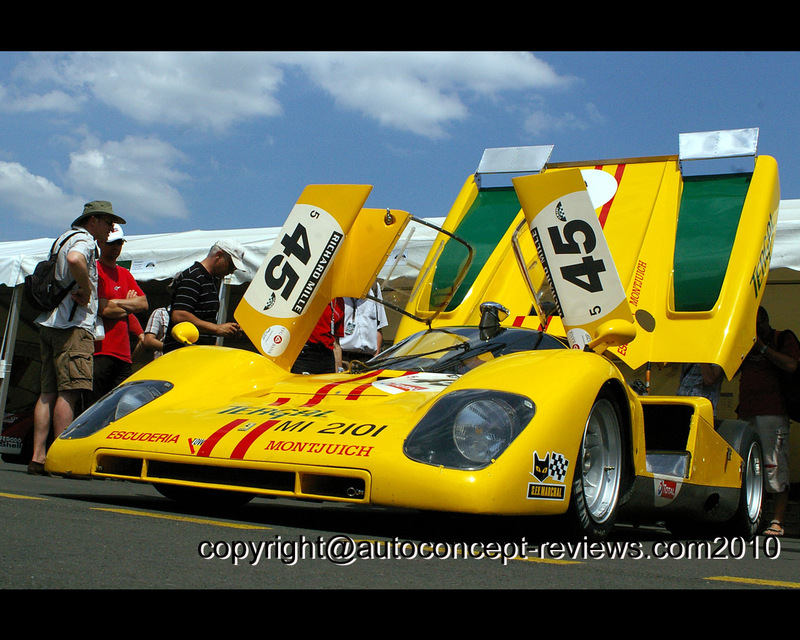 At that time, main rival, Porsche introduced the 917 4.5 Litres (click here for more info) to race in group 5. Although Ferrari had received a major investment from Fiat, the efforts was not rewarded by the success hoped by Ferrari. Devlopment started too late, the 512 S was too heavy and not fast enough to challenge the Porsche 917 in the 1970 season. Some highlights, such as a win at Sebring (Drivers: Giunti - Vaccarella - Andretti) , second at Le Mans, Spa and Monza, third at Daytona, Monza, Targa Florio and Nurburgring did not prove enough to face Porsche results. For the 1971 season, the Ferrari 512 S was developped to 512 M (body modification to look similar to the 917,weight reduction from 850 kg to 800kg, power increased from 580 HP to 620 HP and redesigned aerodynamics) allowed performance equal to the Porsche 917 but technical failures and bad luck brougth Ferrari to another defeat. This particular car is the 512 S/M 1002, ordered by the Spanish Escuderia Montjuich. This Ferrari 512 S/M 1002 is outstanding for a variety of reasons and rated as one of the best 512. As a private team, the car reached great performances and results: In the 512 S version, it came 2nd at 1.000 km Paris and 5th at the 1.000 km Buenos Aires. 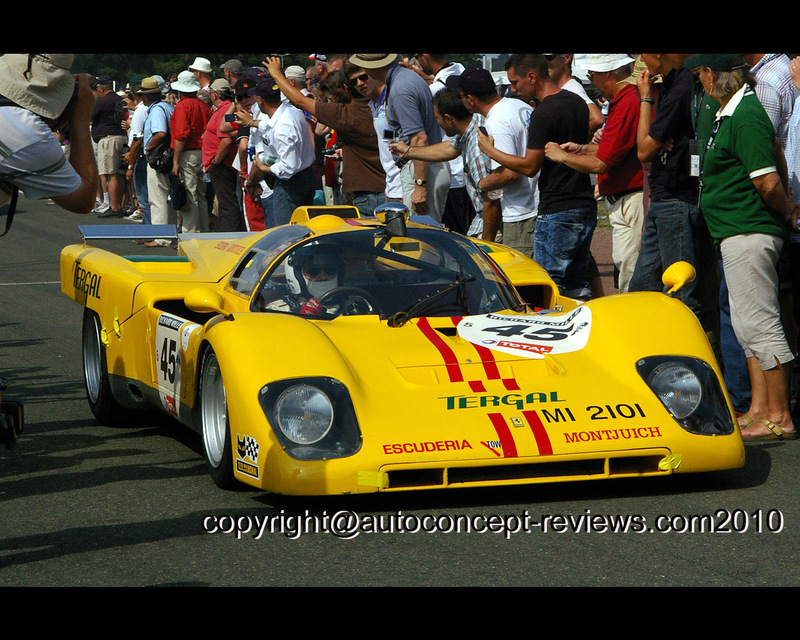 In the 512 M form 1002 Montjuich came 5th at Brands Hatch and at Coppa Shell Monza. Great sensation was caused in two further races in 1971: In the 24 hours of Le Mans, Vaccarella and Juncadella lead the fist 12 hour ( a lap in front of Porsche Marko Van Lennep 917) only to loose the race for suspension failure. The same year, Jabouille and Juncadella finished second at Tour de France. 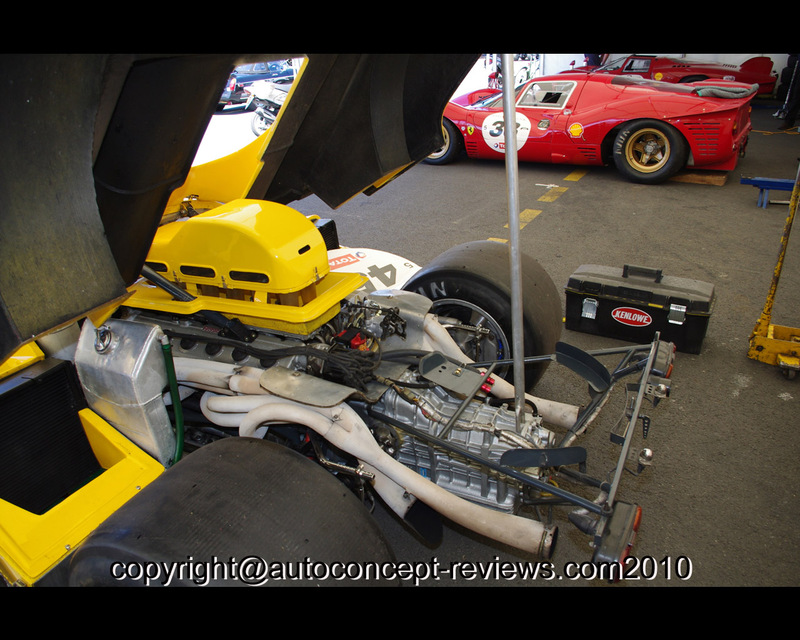 Also, it should be noticed that collector Robert Horne (owner from 1974 to 2009) used the car selectively and ensured the Ferrari 512 S/M 1002 's proper preservation.